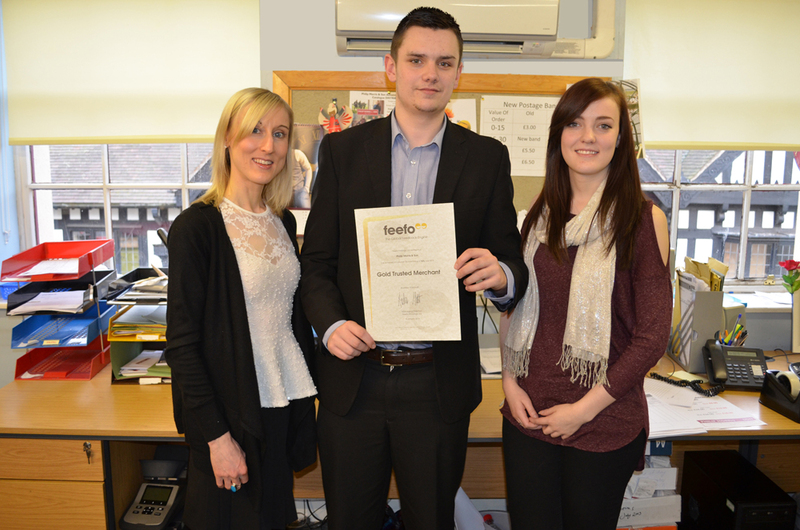 Home Company News We’re Now A Feefo Gold Trusted Merchant! Could we get much better news? 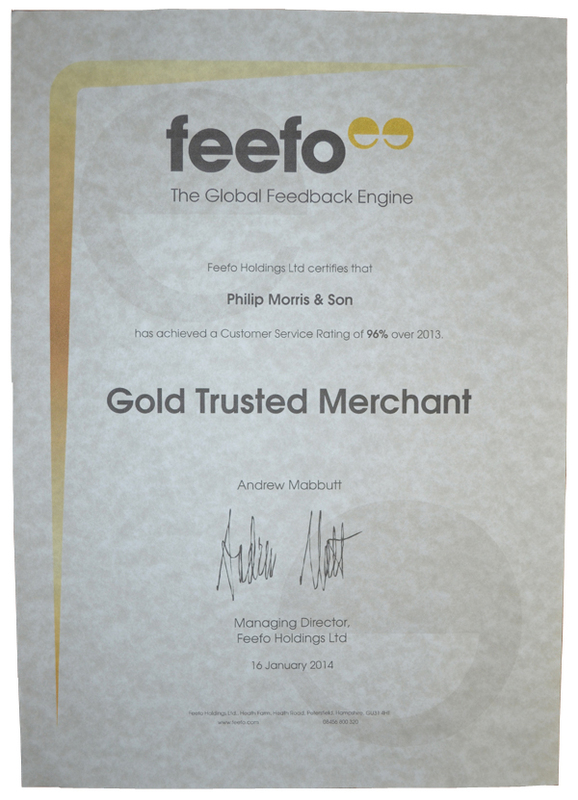 Last week, we at Philip Morris were over the moon to receive a certificate from Feefo giving us a 96% overall customer service rating for 2013, which officially makes us a Gold Trusted Merchant! Being a small, independent business, we do not have the luxury of being a ‘worldwide’ brand to back up our success. Giving quality, personal customer service is our top priority, and the best way we know to keep our customers, old and new, happy. We have worked hard to maintain our high level of customer service and strongly believe this is where we set ourselves apart from other retailers. Throughout our many years of trading, we at Philip Morris and Son pride ourselves on offering an exceptional customer service team; it is paramount that the people our customers call up to talk to understand our products through and through. We also think it is imperative for our team to have an in-depth understanding and first-hand experience of country living, so they know exactly how our clothes and products work within your lifestyle. If there is ever anything they don’t know, they can soon call up Mark (who has worked here for over 25 years), John or Bruce (the Managing Partners who love a day out shooting), or Zoe, who has worked here for over 15 years and knows everything about anything when it comes to our range of country clothing! For those not already familiar with the Feefo process, our Service Rating is based on the percentage of consumers that rated the service provided by us as either “Excellent” or “Good”. To leave a Feefo rating and review, customers are verified via sales data and then ALL invited via email to provide an appraisal of their experience. This ensures that only customers that have genuinely completed a transaction with the business can provide feedback, and that it is a complete and true representation of customer opinion. Throughout 2013 we had 1993 customers leave service feedback, of which 1617 were “Excellent” and 316 were “Good”! However, we don’t just care about gold stars and shiny certificates; occasionally we do have negative reviews – which are good because we can learn from them, and make amends. We always do everything in our power to resolve any issues, we’re only human after all and mistakes can sometimes happen. Overall, we are chuffed with a 96% customer service rating, and the certificate has pride of place in our office, but we plan to aim higher this year… 100% here we come! Excellent Service, Feefo, Gold Customer Service, Gold Merchant, Gold Trusted Merchant, Philip Morris, Positive Reviews, Reviews, Trusted Retailer. Bookmark.